The latest news about development plans for the area. Please find below Hook Parish Councils response to the Owens Farm Development Appeal. In this final consultation, objections will only be considered by the Inspectorate if they make clear that the plan, or part of the plan is inadequate in regards to “legal compliance” and “soundness” of the Local Plan. Has the Council followed the correct procedures? Has the Council complied with the Duty to Cooperate? Consistent with national policy – the plan should enable the delivery of sustainable development in accordance with the policies in the National Planning Policy Framework. The comments made on the Proposed Submission Plan will be sent to the Secretary of State along with the ‘Submission’ Local Plan and all supporting evidence. The Local Plan will then be examined by an independent planning inspector whose role is to assess whether the plan has been prepared in accordance with the Duty to Cooperate, legal and procedural requirements, and whether it is sound. The examination is likely to involve public hearings. The Inspector may conclude that the Plan is sound (with or without further changes) or that it is unsound. If significant changes are needed to make the plan sound these will be subject to further consultation. It is anticipated that the Local Plan will be adopted towards the end of 2018. Please click the link below to see details of the Hook Neighbourhood Plan first draft public consultation being held on the 18th and 20th January 2018. The last year has seen an unprecedented increase in the number of Hook planning applications, submitted to Hart District Council (HDC). These include several large scale developments, such as Owen’s Farm (West of Hook). The past few months have seen a significant number of larger scale planning applications or pre-application consultations for the P&I Committee to consider and report on. There are also many ad-hoc meetings with potential developers or landowners. The P&I Committee meets twice monthly and the public are welcome to attend meetings. In addition, the Applications for extensions or small developments have been arriving at the rate of between 5 and 10 per month. David Wilson Homes and Croudace Strategic have permission for 550 dwellings on 38.58ha in NE Hook and are currently satisfying planning conditions to enable them to start construction. Presently, some advance works are taking place that are mainly related to protecting ecological features. The position with Sainsbury’s is not confirmed. The last update we received, indicated their intent to commence construction once at least 100 dwelling had been built on NE Hook? Stonegate Homes have submitted an application for a complete re-development of the Bartley House site on Station Road. Considerable consultation has taken place to ensure a satisfactory appearance of this landmark building at the entrance to Hook Village. Hart DC are expected to shortly grant permission for the current proposals. Rawlings Haulage propose to relocate from their Village Centre site. 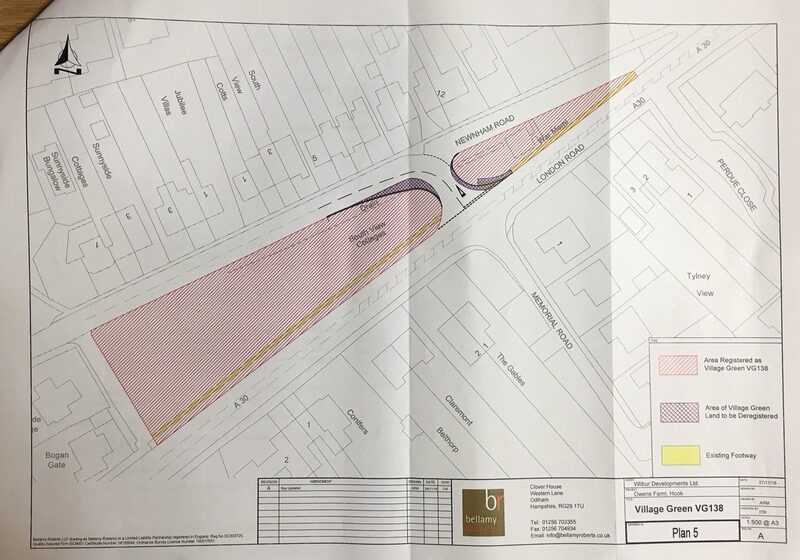 Hook PC strongly supported their proposal to move to the existing Business Park at Murrell Green, but that was previously rejected by Hart DC. A number of re-development options have been presented for the existing site. Hart DC has supported a residential use in principle indicating the current McCarthy and Stone proposals would be positively viewed. 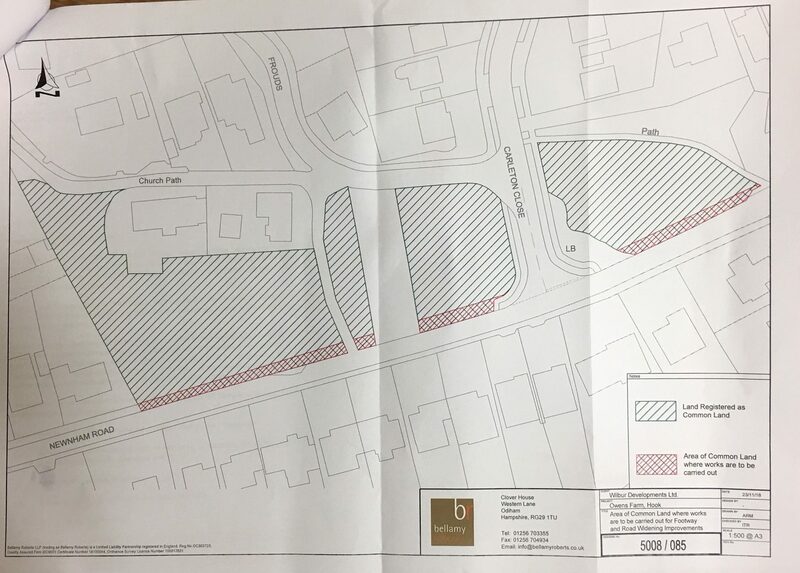 There is continuous pressure from a number of developers wishing to convert offices on the Bartley Wood Business Park to residential dwellings by use of Permitted Development Rights. Hart DC have declined Hook PC’s requests to prevent such conversions by serving a Direction that would require developers to follow the full planning process. To date, only the conversion of Providence House has progressed to construction of residential units. There is also pressure to develop the car parking areas of these offices. 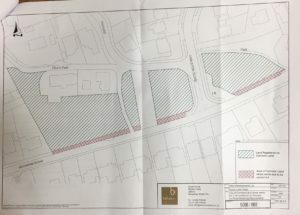 An appeal against a refusal for planning permission was rejected by the Planning Inspectorate, essentially on the basis that the site would provide a poor quality residential scheme with unsatisfactory parking provision. Store Property own Stratfield House (the former Taylor Wimpey offices) in Station Road and have applied to convert this building into 1 and 2 bed apartments under Permitted Development Rights. Hook PC support the emerging Neighbourhood Plan’s objective to retain buildings of mixed use (residential and retail/commerce) in the village centre, where possible. However, given the small scale of this proposed development, it may prove financially unviable for the developer to incorporate business use on this site. where a competing retail provision would only be detrimental to the current aspirations in the draft Neighbourhood Plan, which aims to regenerate Hook Village Centre. 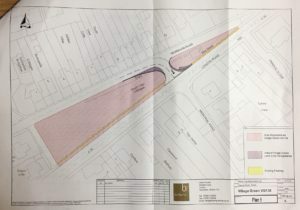 Gallagher Estates have put forward their proposals for a new Winchfield Garden Community settlement centred around the mainline railway station and other infrastructure. We are informed that the proposals are on a site controlled by a consortium, so it is deliverable and includes plans for a Secondary School providing a 1,000 pupil capacity. The developer has recently requested an Environmental Impact Assessment Screening Opinion from Hart DC for this development. The outline proposal is supported in principle by Hook PC. Land to the west of Hop Garden Road and to the north of Seton Drive, Hook. The appeal is allowed and the planning permission Ref 16/02301/FUL for the erection of a block of 3no. stables to include a feed store and tack room and the change of use of the land to allow the keeping of horses at land to the west of Hop Garden Road and to the north of Seton Drive, Hook granted on 16 November 2016 by Hart District Council, is varied by deleting condition 7. Below is our Draft response to the Hart Local Plan 2011 – 2032. Please be aware that this is our Draft response. Unless we make any changes to this response, it will be submitted to Hart District Council on Thursday 8th June 2017. Please let us know if you have any comments prior to this date. Please Note: The Parish Council response to Hart District Council only counts as ONE response. In order to strengthen Hook residents views, we need as many residents as possible to respond to Hart District Council with their views before the closing date of 5pm 9th June 2017. Below is the document with the questions raised by residents and put to the District Councillors and the responses we received from the District Councillors.